24/7 Call for immediate service. Available 24/7 – No Overtime Charges, EVER! Don’t panic. We’ve got the road map. Welcome to Interstate Heating and Air Conditioning, the most trusted HVAC company in Oklahoma! All of us here at Interstate know how important it is to keep your home at peak comfort. That’s why we promise to go the extra mile to guarantee your satisfaction. Our reliable, certified technicians will have your home’s heating and cooling system running efficiently all year round. Whether it’s summer or winter, day or night, Interstate will put you on the road to comfort. The Most Trusted Road to Comfort. Exceptional values and great service paves the way to 5 star reviews… Interstate Heating & Air Conditioning offers a gimmick-free money-back guarantee. that means that if you are not 100% satisfied with our service, we will do everything within our power to make you happy or your money back. It’s that simple. All of our technicians go through a rigorous application and training program. 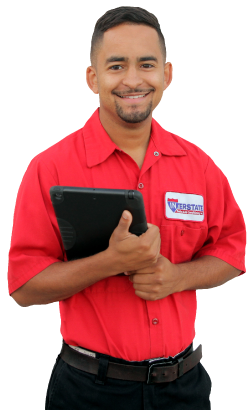 You can remain confident that our trusted technicians will treat you and your home with care and respect. We wear shoe covers and make sure that we leave your home as clean as we found it, or better. Interstate has been serving families in the Oklahoma City metro area with the most reliable HVAC installations and care. We’ve worked hard to become the company of choice for home comfort solutions and maximum affordability. 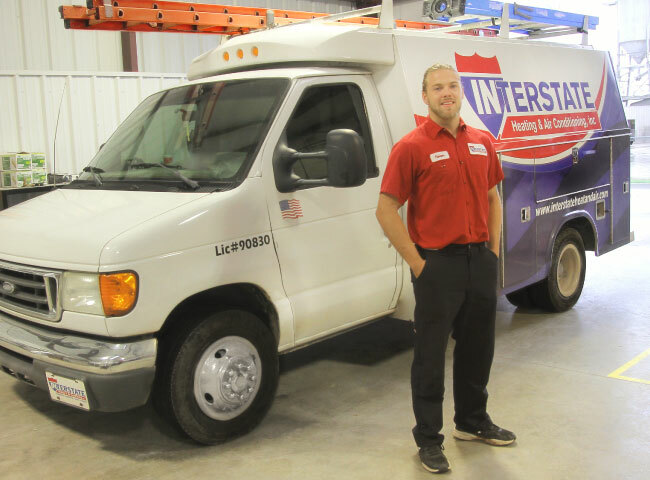 We know it can be a daunting decision to choose the right heating and cooling company for the job; that’s why Interstate technicians are trained to go above and beyond. Want to learn more about energy saving techniques? Considering an indoor air quality evaluation? When is the best time of year to schedule duct cleaning?